Al Ain coach Zoran Mamic has confirmed that Egypt international Hussein El-Shahat will be available for the team against Al Duhail in the return leg of the AFC Champions League. Al Ain had finished second in the Asian competition’s Group D to set a meeting against Qatari league champions who had topped Group B. However, the first leg has not gone the desirable way and the Boss conceded a 4-2 home defeat. The domestic double triumphants are hoping that their success extends to the Champions League and recover the first leg deficit in the encounter that will see the return of El-Shahat who is returning from suspension. However, Al Ain will be without another winger in Caio Lucas Fernandes. 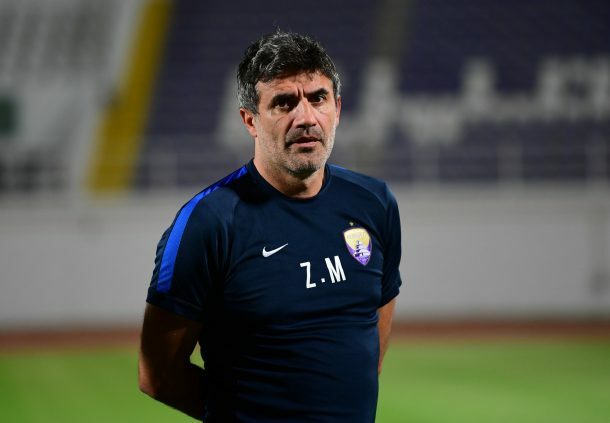 “We are suffering from some issues represented in Caio’s absence due to suspension, in addition to health problems for some of the players,” Mamic said. The 26-year-old winger has demonstrated his worth since arriving at Al Ain in January, contributing in a remarkable fashion to his team’s league and cup titles this season, the thing which allowed him to claim the Gulf League Fans’ Player of the Year, on the top of coming in UAE Team of the Season. “Personally I don’t think of absent players as much as I focus on preparing the available ones for each game,” the Croatian manager added.